Beach get-away within walking distance to Crystal Pier, PB's popular shops, restaurants, Kate Sessions Park & more! A perfect starter home or investment property. Move-in ready with granite counter-tops, stainless steel appliances and dual-pane windows. High wood beam ceilings, 4 ceiling fans. Top floor unit! This well maintained 12-unit complex includes: gated entry, tropical landscaping, has low HOA, washer/dryer onsite, assigned parking spot. SchoolsClick map icons below to view information for schools near 1792 Missouri St San Diego, CA 92109. Home for sale at 1792 Missouri St San Diego, CA 92109. 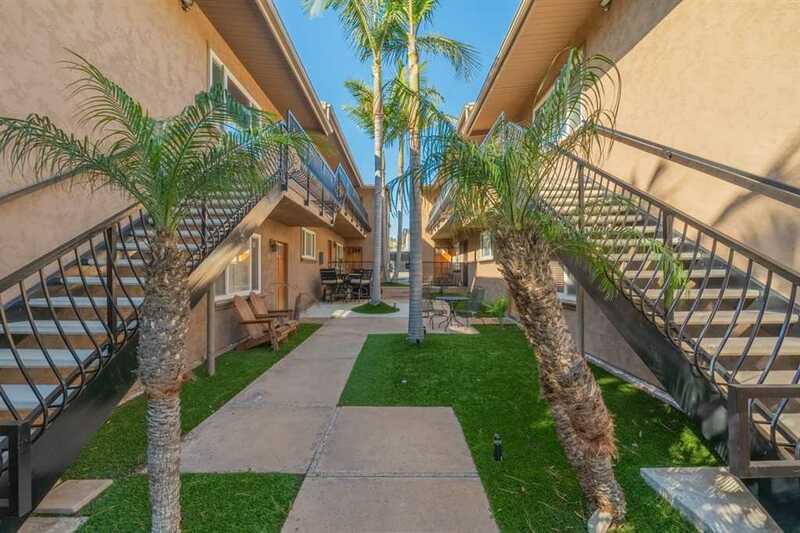 Description: The property at 1792 Missouri St San Diego, CA 92109 in the Pacific Beach subdivision with the MLS# 190007471 is currently listed for $415,000 and has been on the market for 76 days. You are viewing the Sandicor listing details of the home for sale at 1792 Missouri St San Diego, CA 92109, which features 2 bedrooms and 1 bathrooms, and 726 sq.ft. of living area. Listing information last updated on 4/25/2019 10:30 PM.